As well as publishing comics, I also illustrate, write comics, and design logos, poster, flyers, and books, a selection of which are shown here. I was a fit kid who hated sports growing up. Now I'm the captain of a Softball team and I'm a Baseball enthusiast. Ballgame is the story of what happened in between - an ongoing, episodic memoir about sport, masculinity, health, success and failure. The first issue is available to buy now from the Good Comics store. Dead Singers Society is Good Comics' flagship zine. It's an anthology with a lot of great contributors including Rozi Hathaway, John Riordan, John G. Swogger, Tim Bird, Louie Stowell and my Good Comics partner, Samuel C. Williams, all writing, drawing or painting about our favourite dead singers. You can buy all four volumes in the Good Comics shop. It would be cool to be able to talk to animals, right? Wrong! At least, it isn't fun for Ali, who can understand everything animals are saying, even though it's a meaningless cacophony most of the time. Long Divisions chronicles Ali's attempts to block out the noise of the animals, the city and her millennial generation's incessant problems as she searches for simplicity. 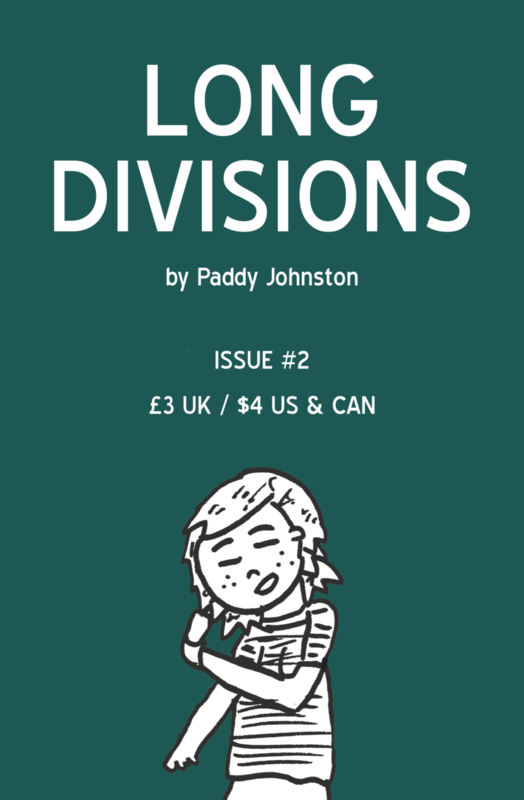 Issues #1 and 2 are now out of print, and I'm not sure I'm going to reprint them any time soon. However, both of the digital editions are up on my Gumroad page on a pay-what-you-want basis, so get a load of them over there! I contributed some art and writing about Grimes' collaborations with Bleachers to the Art Angels fanzine, put together by Sammy Borras. You can buy it from her Etsy store. 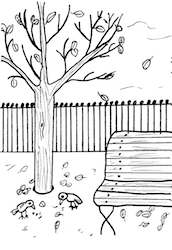 I contributed a silent comic, Autumn Takes Over, to issue 2 of AB Positive. Download it, print it, fold it, read it, cry. A short comic about love, airports and the unfairness of immigration law. February 1st is Hourly Comic Day, when you have to draw a comic for every hour you're awake. 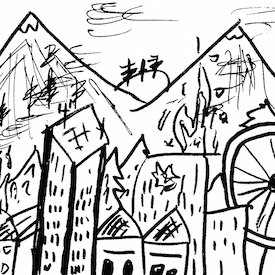 I took part this year, drawing some transport woes, audio monsters and misheard lyrics. 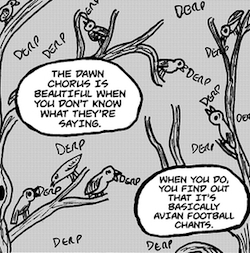 A one-pager about magpies. If you didn't know, magpies are bastards. This comic explains why.